Chinese New Year is a big thing here in the Philippines (despite all that disputed territory stuff). A lot of us are familiar with the traditional feast. We have had our fair share of tikoy or fried rice cakes, hopia or mung bean cakes, and pancit or noodles even if we aren't Chinese. And of course, what's a feast without a roasted something, like lechon (roasted pig) or Peking duck. 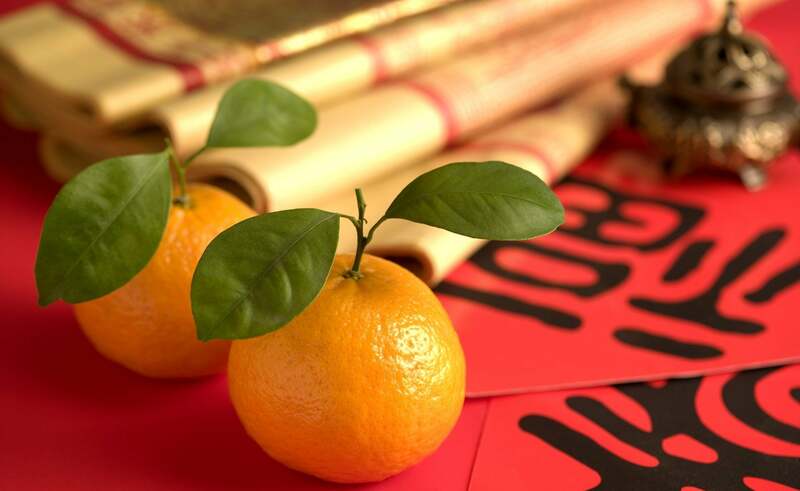 But did you ever wonder why it had to be these foods that are eaten on Chinese New Year? As we know, the Chinese are a superstitious people and there is meaning in every dish they have in their New Year's feast. Ever walked in your house to see that it's overflowing with tangerines, pomegranates, and every round fruit that's in season? To the Chinese, 8 round fruits must be served because it symbolizes infinity. If you've noticed, tangerines are favored among all the round fruits. That's because the word "orange" sounds like "gold" and "tangerine" sounds like "luck" in Chinese. The golden color of the spring roll is associated with gold itself. A friendly reminder: the more spring rolls you eat won't really increase your luck but will increase your chances of heart failure. It's deep fried sticky cake that is believed to be offered to the Chinese Kitchen God so that he'll tell those in the heavens that the family is in his favor. Tikoy also has three characteristics: round, sweet, and sticky. The sweet flavor symbolizes close relationships; the sticky texture symbolizes unity in the family, and the roundness means wealth. The longer the noodles, the longer the life, they say. Not unless you choke on one. A chicken represents togetherness and rebirth. This will help bring the family closer or let it stay together. It's also good to keep the head and feet on the chicken when serving it. It's meant for the sweetness that is to come in the year. The layers mean the amount of abundance. Then lastly, the round shape symbolizes a family reunion.